London, New York and Hong Kong Are No Longer Immune to Global Housing Downturn - Stephen P. Wald Real Estate Associates Inc. In Manhattan, the median condo price dipped below $1 million for the first time in three years. Hong Kong home values endured their longest losing streak since 2008, while prices in outer London neighborhoods fell for the first time since 2011. 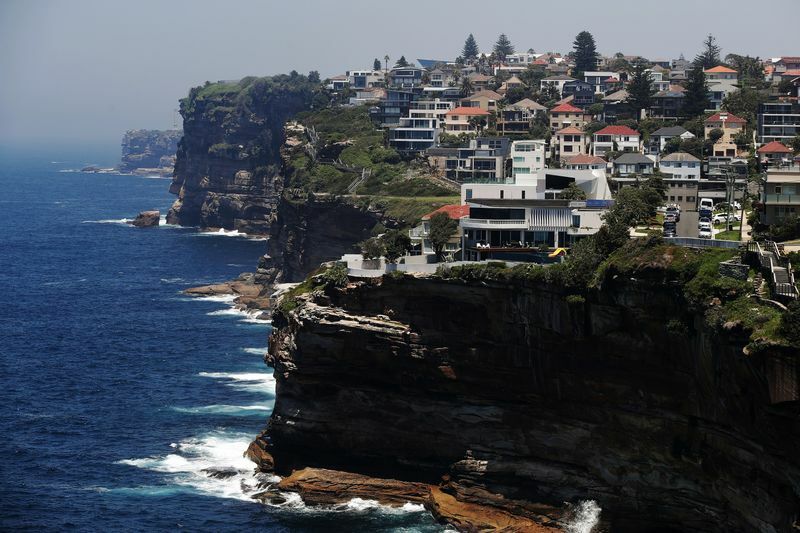 Sydney home owners are grappling with the worst real estate slump since the 1980s. Residential buildings and houses stand in Sydney, Australia. Luxury residential prices are growing at the slowest rate since 2012, according to a Knight Frank index of prime properties in 43 cities. Where some see an orderly retreat, others see cause for concern. A November working paper by the International Monetary Fund warned that the tendency of housing prices in global cities to move in sync means that local shocks could upend markets around the world. International investors in search of higher-yielding investments have poured cash into the biggest, most-expensive housing markets, pushing prices ever upward. Governments became concerned the gains were unsustainable, and reacted with measures aimed at curbing the flows of international money. U.K. lawmakers will publish details later this month of a tax on foreign real estate buyers in London. That plan follows moves to increase charges on second homes and properties owned by corporate entities. The government also eliminated tax breaks for rental homes bought with mortgages. Home prices in the most-expensive parts of London are down 19 percent from their peak in 2014, according to data from Savills Plc, but the move to curtail investor purchases is still on. Similar dynamics are playing out around the world. The number of home sales in Vancouver dropped 32 percent in 2018 from the previous year, following a series of new taxes, stricter mortgage rules and rising interest rates. Median prices in Auckland registered their first annual drop since 2008 after the New Zealand government passed legislation to restrict foreign buying that it said was partly to blame for escalating housing costs. Home prices have dropped 11 percent in Sydney from their 2017 peak after government restrictions on foreign purchases and tighter credit. “Government actions to reduce foreign purchases and/or stretched borrower affordability have already caused home prices to stall or fall in cities such as Sydney, Melbourne, Toronto, Vancouver and Stockholm,” Fitch Ratings said in a Jan. 15 report on global home-price growth. In Hong Kong, a looming vacancy tax, intended to dissuade investors from hoarding empty apartments, played a part in driving prices down almost 9 percent from their August peak. Citigroup Inc. said it expects prices to reach their nadir in March — and there’s ample evidence to suggest homebuilders remain concerned. China Overseas Land & Investment Ltd. recently unveiled aggressive discounts at its new residential units released in Hong Kong’s Tai Po area in an effort to fend off competition amid rising supply. Policies aimed at reining in prices aren’t the only factors weighing on growth. Local dynamics, like Britain’s planned exit from the European Union, last year’s U.S. tax bill, or tighter capital controls in China are no longer local — they ripple around the world. In the U.S., developers that focused on affluent buyers came out of the Great Recession with comparatively strong credit, said Daryl Fairweather, chief economist at Redfin Corp. The result has been a glut of million-dollar condos accumulating in major markets, while scarce supply drove prices higher on more-modest homes. Now U.S. markets are softening as buyers blink at high prices and rising interest rates and volatile equity markets exacerbate affordability concerns.